BEND, OR -- A national non-profit promoting veteran homeownership is coming to Central Oregon. Local chapter president John Harsh says the Veterans Association of Real Estate Professionals (VAREP) works with agents, mortgage brokers, home inspectors and vets to understand the VA Loan process, "There is very little education, within the military or after the military, veterans receive in regards to the VA loan – how to qualify for the VA loan, how to become a homeowner, things like that. The transition from military life to civilian life, in most cases, is very inadequate and veterans just don’t have the resources they need to understand it." Veterans are plagued by high rates of unemployment, homelessness, divorce and suicide. But, Harsh says VAREP has helped reduce those rates in other communities, "All we do is promote veteran homeownership. 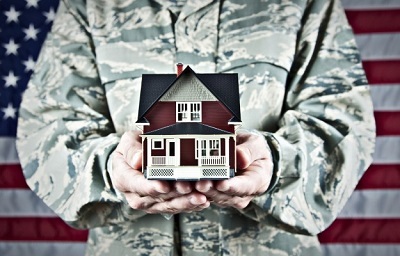 And, when a veteran becomes a homeowner, all those statistics go down. Veteran homeowners are less likely to become unemployed, they’re less likely to get divorced, they are less likely to become homeless at some point and they’re less likely to commit suicide." Since 2015, VAREP has helped over 6,000 veterans become homeowners in 29 states. The Bend chapter is its first in Oregon. Harsh, who is also a vet, officially launches the Bend chapter on Tuesday at Liberty Gallery, 4-6 p.m. "We get to come alongside other veteran services organizations like Central Oregon Veterans Outreach –J.W. Terry is going to be one of the folks speaking at our launch, Tuesday – we get to come alongside organizations like that and really dig into the veteran community and help in tangible, real ways that have a ripple effect well beyond helping veterans buy a house." District Attorney John Hummel is also scheduled to speak at the Liberty Gallery, to help shed light on the needs of local veterans.